LAS VEGAS — In a microcosm of the team’s conference season, the No. 7 seed UTRGV women’s basketball team faltered offensively to drop an emotionally charged WAC Tournament quarterfinal 70-59 to No. 2 seed CSU Bakersfield on Wednesday at the Orleans Arena. UTRGV shot just 28.1 percent (18 of 64) from the field and 14.3 percent (3 of 21) from beyond the arc. Tidwell has pointed to poor shooting as one of UTRGV’s biggest weaknesses all year, as the Vaqueros shot a WAC-worst 37.9 percent during conference play. UTRGV (14-16) finished the regular season by winning three of its final five games, including victories over teams seeded above them in Seattle U and Utah Valley. But on Wednesday, UTRGV never seemed to settle in offensively against the conference’s most staunch defense. The Runners (17-12) approached the tournament on the cusp of winning the regular season title, powered by an eight-game winning streak, but saw those chances dashed with back-to-back losses against Seattle U and Grand Canyon to close the conference schedule. CSUB jumped out to an early 16-8 lead while shooting 52.5 percent from the floor. UTRGV responded with a 12-2 run, capped by a Krisynthia Sampson jumper, to take its only lead at 20-18 at the end of the opening period. That push would be short-lived, however, as CSUB ramped up its defensive pressure to open the second quarter, sparking a 20-2 run to build a sizeable lead at 38-22 with just more than three minutes to play in the period. UTRGV’s defense found a new gear to open the second half, holding the Roadrunners to just 1-for-8 shooting over the first five minutes. However, UTRGV was unable to capitalize, missing its first eight shots. The Runners shot 23.3 percent during the second half and 35.0 percent for the game. CSUB found its offense during the final four minutes of the third quarter, extending its lead to as large as 56-38 with just over a minute remaining in the period. Defense reigned supreme during the final quarter. 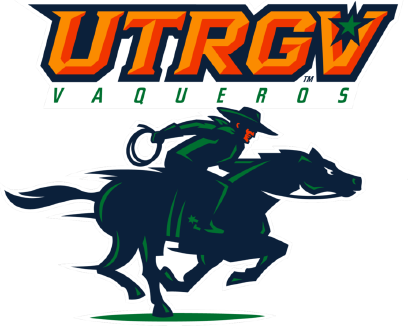 The Vaqueros’ aggressive defense forced the Roadrunners into a series of precarious situations, and UTRGV used a flurry of baskets along with four quick fouls to pull within 58-52 with just under six minutes to play. That was as close as UTRGV got, though, as CSUB went on one final run to push the game out of reach. Johnson led UTRGV with 14 points and a career-high tying 11 rebounds for her second double-double of the year. Quynne Huggins added 14 points, including all three of UTRGV’s made 3-pointers, and six rebounds. Weslaco native Laura Van Tilburg netted 11 points and seven rebounds in her final collegiate game. CSUB was paced offensively by Jazmine Johnson, who led all scorers with 23 points, four rebounds and a game-high five steals. Malayasia McHenry narrowly missed a double-double with 21 points and eight rebounds. The loss ends UTRGV’s hope of a fourth consecutive winning season and marks the team’s second straight exit in the opening round of the WAC Tournament.